Have you ever thought about packing up everything you own, getting in the car, and starting a new life? Everyone at some point in their lives thinks about what their lives could be like. You may be wondering what your next chapter may be like. You could be seriously considering starting your life over from scratch… and you can very well make it happen. Starting over is not easy. If you’re contemplating how to start a new life, there are things you can do to make it as uncomplicated as possible. Here’s how to prepare to start over and begin a new chapter in your life. Are you already scoping out one-way flight tickets and apartments in the city of your dreams? Is creating a new you all you ever think about? Let’s hit the brakes a little. Thinking about how to start a new life can be super exciting. But before you make any concrete plans, you must identify your reasons for wanting to leave. You’re unsatisfied with where you currently are. So much that it’s gnawing away at your ability to be happy in the moment. Do you feel unsatisfied at your job? Are you tired of the same old surroundings or your day-to-day routine? Are you unhappy in your relationships? Doing something about your current situation is the only way to change it. You may not need to start your life over. You might just need to make some changes to your current one. Deep down, you may even be trying to run from your past or your current life. Whatever the case may be, take some much-needed time to think your current life over. To help, take time off work, go traveling, and confide in someone about how you’re feeling. After a lot of contemplation, you realize that starting a new chapter is exactly what you need and want to do. So, where will the next chapter take you, and what happens in it? Maybe you dream of escaping the cold winters and living near the beach. Perhaps the job of your dreams is in higher demand in another city. You may be looking for a place where you can express who you really are. Think long and hard about where you want to be and who you want to become. Whatever your new life may look like, start living towards it now. Set your self-doubts and fears aside and embrace the work you’ll need to put in now. Every day is a chance to make the changes you yearn most for. What can you do today to help you move further along the path? It could be as simple as going for a run or waking up an hour earlier. Or, it could be as major as putting in your 2-weeks notice or breaking off a toxic relationship. Even if it’s a tiptoe of a step, every effort you make now will help you turn the pages to the next chapter. You can start creating a new you today. If you’re looking to start your life over, do yourself a favor: Start over with as much money saved up as possible. Once you get to where you want to go, you have to be able to pay the bills and put food on the table. Having money in the bank to fall back on if you need time to settle in your new location. You’ll thank yourself later when you have the means to order take-out or to do some exploring on the weekend. If you’re currently unemployed, find a job and start saving. Having a stable income in your current life will help make your new life less complicated. If you’re in a job you don’t like, think about whether you’re willing to tough it out until the move. It might be the best thing to stick it out and save money until you can find a new opportunity elsewhere. 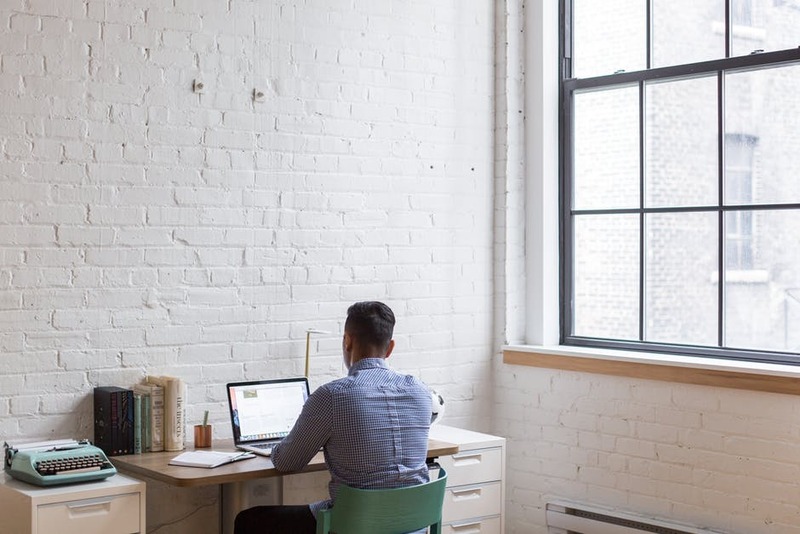 It’s always a viable option to start working from home part-time. If the dream for your new life is to become your own boss, start now. Moving on from your current home is one of the biggest steps to take before starting a new chapter. Your ability to make the physical change can hinge on when you can finally leave your current home. So, first things first: Sell your property. If you’re interested in selling your property for the most money, know how much it’s worth. If you rent, you may have to wait until your lease is up before you can make the move. Make sure you pay all your remaining rent on time so you can get your security deposit back. Follow up with your landlord and leave on good terms. Not interested in waiting for the right buyer to come along? Consider selling your property to a cash buyer. This is the quickest route to getting your home off the market as soon as possible. If your home has been on the market for a while, there are ways you can attract buyers. Renovating and upgrading are great ways to help move along the process. This blog has other great ideas on what to do if your property isn’t selling. Once you figure out what to do about your current living situation, start planning your new one. Do you have a friend you can stay with wherever you’re moving to? If not, start looking for places or rooms to rent. Get rid of clutter by selling belongings, furniture, and clothing you no longer need. This is a great way to save up some money for rent or travel money. You can also donate gently-used items or give them away to friends and family. Starting a new chapter in life is something most people dream about. But few people actually turn these dreams into reality. If you’re wondering how to start a new life, now is the time to start working and planning towards the next chapter. As you get closer to beginning the new chapter, think about how you’ll support yourself. Learn more about how to supplement your income wherever life takes you! 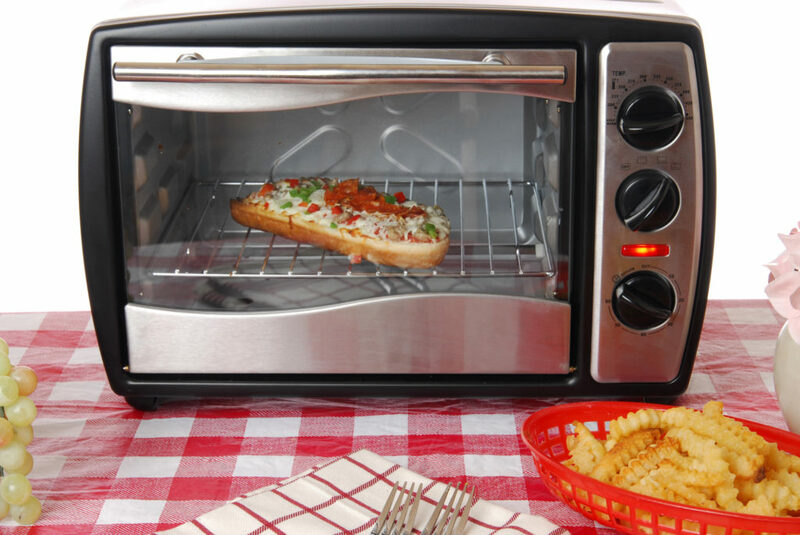 Step away from the energy-inefficient, hard-to-clean oven, people – the toaster oven is where it’s at! These nifty little ovens may be small, but they are mighty. Not just for magicking bread into our favorite breakfast edible (toast), what if we told you that you could cook in it, too? From breakfasts to baked goods – even a Sunday roast! – the toaster oven does it all. Cooking has never been easier! Don’t believe us? Check out these 12 recipes to prove we’ve got your back. Before delving into the wonderful world of toaster oven cooking, there are a few things you should know. For one thing, these ovens are mini, so they ain’t going to fit your big ol’ sheet pan. Look out for mini sheet pans, baking dishes, and roasting tins. 1lb loaf tins are a great buy, and half-batch muffin tins are a must-have. These mini ovens are just that – a compacted regular oven. But they’re smaller, thinner and lighter, and sit on your countertop. Make sure you keep little ones far away while in use and be careful – the casing will be red hot. Your bakes will also be closer to the cooking element, which you’ll need to watch out for. Too close for too long, and your toaster oven recipe could end up burnt on top. But don’t worry, there’s an easy solution to counter a potentially overdone mix. If your bake is golden brown but there are still a few minutes left on the timer, quickly take it out. Cover the top in foil, and then put it back in for the full time. You might have clicked this post because you’re cooking for one (or two). Or maybe you’re setting up your tiny kitchen in your tiny home. Whatever the reason, another thing you’ll need is your trusty toaster oven. If you don’t already own one of these babies, check out some of the best affordable toaster ovens today, so you can bust it out and get cooking. Healthy toaster oven recipes are easy to come by, and one of our favorites is this sweet potato toast. Whether you’re gluten-free, paleo, or simply feel like a healthy snack, just top these little slices with whatever you like, and enjoy! If you thought homemade pizza would be impossible to make in a toaster oven, then… you’d be wrong. It’s actually easy as pie to whip up these, er, pies in your mini oven. Just cut the quantity of dough in half, and bake your pizza in 2 batches. Fries really don’t take up much space in the oven, so it’s kind of a waste to heat the whole thing up for a single side. Why not try these toaster oven garlic fries instead? They’re easy and quick, plus they’re slathered in garlic – what’s not to love? Thought the toaster oven was too tiny for bread? Guess again! We’re very happy to tell you that baked bread is definitely back on the table if all you’ve got is a toaster oven. And this tidy sourdough bread is both beautiful and delicious – a must-try! If you’ve seen all the baked eggs recipes springing up across the internet, you’ll know how excited we are about these Italian baked eggs. Combine your ingredients into ramekins to bake these single-serve breakfast delights. Not only could salmon lead to weight loss, but it’s absolutely delicious to boot! And with this 5-minute miso-glazed salmon, you’ll have dinner ready in no time at all. Simply pop your marinated salmon in the toaster oven for 5 minutes, et voila! Okay, here comes the Sunday roast we hinted at earlier! These roast chicken breasts will form the meat element of your toaster oven meal. Remember to use bone-in, skin-on for the juiciest roast chicken around. Of course, you’ll need some roast potatoes to go with your chicken. Both baby potatoes and large potatoes work great in this dish – just be sure to pierce the baby potatoes before roasting, for minimal mess and disappointment. Love ’em or hate ’em, roasted Brussel sprouts make up a part of the traditional Sunday lunch ritual. The worst thing you could do is boil these little guys. They’re much happier – and tastier – fresh out of the toaster oven. If you’re desperate to get baking and only cupcakes will do it, then we’ve got you covered. These small batch cupcakes come in 3 flavors and are perfectly designed for your toaster oven. This clever hack has got to be one of our favorite toaster oven recipes. These cinnamon rolls for one will get your mouth watering and hit you right in the feels. Bake in ramekins or small trays for a home-baked cinnamon roll to die for. Chocolate chip cookies easily have to be the nation’s favorite, so what better chewy baked delight to whip up in your toaster oven? For warm gooey cookies fresh out of the oven, divide your dough into smaller batches and simply bake on demand. How about those times when you’re having guests over, and only a full-blown, moist and decadent cake will do? Then this toaster oven carrot cake recipe is the one for you. Use your favorite extras, and bake up this deliciousness in 25 minutes. So, did we convince you that toaster oven cooking is the new best thing since sliced bread? If you’re looking to make something small, a toaster oven meal is an easier and cheaper alternative to cooking in a regular oven. From cupcakes and cookies to roast chicken and potatoes, you’re certain to find a ton of recipes that’ll be perfectly cooked in your toaster oven. But should those potatoes be organic? How about the chicken? If you’re on the fence about going organic, here are 7 things you need to know. Winter brings holiday cheer, cozy clothing, and home-cooked comfort foods, as well as a significant spike in your home heating bill. The average cost for oil heating your home in the winter is about $1,834. These prices have increased by 28% from the previous year. The sky-high price per gallon is due to a lower inventory and expectations of a much colder winter ahead. So, now’s the time to make plans for a winter heating budget. This will help to conserve energy and lower your monthly heating bills. 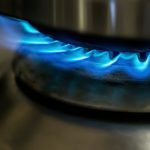 Here’s how to save on oil heat costs this winter. Home insulation techniques can prevent energy loss and help lower your heat bill. Consider running an audit of your own home to check its energy efficiency. Conduct a thorough walkthrough to find places lacking proper insulation. These are any areas where heat may be leaking from your home. Pay special attention to basements, attics, windows, and doors. Gaps between window and door frames can let heat escape. This causes your heating system to run more often and at a higher temperature. You can fix these leaks with inexpensive caulking or sealant products. Or use weatherstrips or door sweeps to insulate exterior doorways. It also helps to wrap pipes to further protect against freezing temperatures. Be sure to leave space around your heating vents so heat can push through unobstructed. Avoid blocking them with furniture or large decor items. You’ll also want to keep any fireplace dampers closed when not in use, as well as the vent in your kitchen. Keep in mind that window treatments are not only for looks. Curtains and shades should get used from both a stylish yet functional perspective. Use them to help cut down on energy consumption and high oil bills. Leave them open to let natural lighting in and help warm the room. Closing them can also seal in heat at night. Letting in fewer drafts from your windows. A cold-weather in-home wardrobe also helps you use less heat. Turn the thermostat down and get cozy in warm socks, leggings, and sweaters. This helps reduce the amount of heat loss. The heat will turn on less to maintain the interior temperature of your home. Before winter hits, make a list of all your home maintenance duties. This helps you to set priorities for what needs to get done first. It will also help to keep track of your budget for winter preparations. It’s important to get a tune-up for your oil heating system. This allows better performance that can lower oil heating costs and helps check for any possible mechanical issues. You may even want to consider investing in a new heating system. This is a recommendation for homes with oil heaters that are older than 20 years. Newer models can conserve more fuel and are better for the environment. The same can get said for updating your water heater to a newer model. Tankless water heaters can cut energy costs in the winter. Or try turning down your water heater during colder months. Another home maintenance tip is to flip the directional switch on your ceiling fan. Warm air travels up, so you’ll want to turn the fan’s direction clockwise. This forces cold air up towards the ceiling and moves hot air downward. Replacing your oil tank is part of preparing for a season change. Check out this website for more information on oil heat costs and refill options. It can also help to get your oil tank filled in the summer. This is when prices tend to be lower due to off-season demand. Or you may want to consider buying oil in bulk to get a discount. Be sure you’re taking good care of your oil tank during winter months. Keep it clean from snow and ice. Make sure icicles are not hanging above it as this can cause great damage. Also be sure to get your tank inspected after winter, for any signs of damage. Older homes may be in need of new home upgrades that help to conserve energy. Saving on energy bills is a top reason to move forward with making home improvements. It also increases your home value, should you sell down the road. 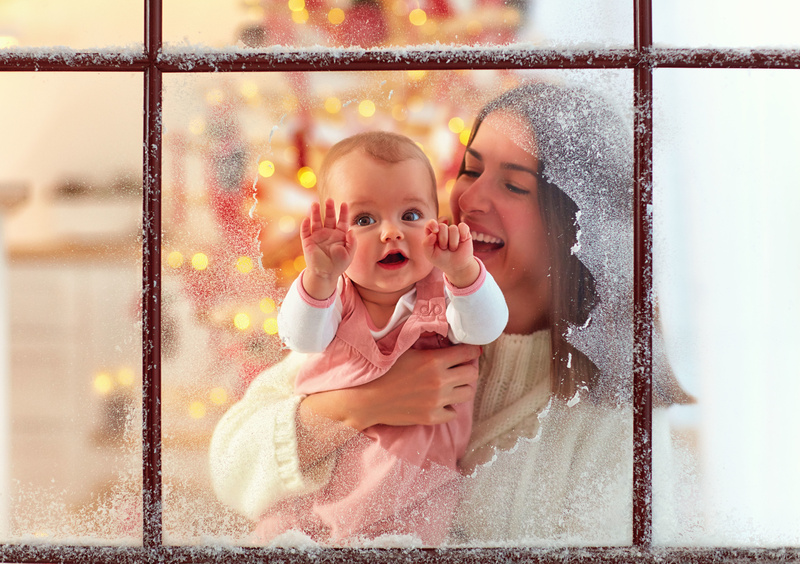 Installing new windows can create better insulation within your home. Double-pane windows make a big impact on your oil bill and heating efficiency. New wall insulation techniques can also further reduce your home’s heat loss. Spray foam insulation keeps your attic walls from losing heat. Spray foam also gets made of safe and non-toxic ingredients. It can prohibit mold growth and help protect against home fires. The color of your roof also plays a role in home energy costs. If looking to remodel, you should take this into consideration. Black or dark roofs will absorb heat, reflecting less of the sun’s light. Having tons of trees on your property can also block out the sun’s heat. You may want to trim back tall trees before winter hits. As their shade can impact the amount of heat your home gets from natural sunlight. Many homeowners are making the transition to newer and smarter thermostats. Models like Nest and Emerson Sensi can help reduce your oil heating cost. They work to save energy and cut heating costs by 12%. These smart thermostats turn down during the day when no one is home. They also lower heat settings at night while people are asleep. They can even predict changes in outdoor temperature to make needed adjustments. It’s important to maintain a comfortable temperature in your home. Rather than making big temperature changes in your thermostat. A steady temperature loses less fuel. These techniques will help you better manage your winter heating budget. Through proper home maintenance and upgrades, you’ll experience lower oil heat costs. A more efficient home is an important responsibility for every homeowner. It helps reduce your carbon footprint and saves more money on energy bills. Here are more tips on being a better energy-efficient homeowner. The most popular cable channel among women is Investigation Discovery. Dedicated to the true crime genre, the channel receives nearly 1 million viewers. We as a culture have become fascinated by criminology over the years. Whether you’re searching through the library, watching TV or playing a game, police stories can be found anywhere. One genre that seems to be making a comeback these days is detective fiction. The ability to figure things out with just a look at the world around us is something we all want. Is that how it really works, though? What is it really like to join the detective career? We’ll explain all of that in the paragraphs below. 1. Private Vs. Police: What’s the Difference? We’ve probably all heard of private investigators. They’re supposedly the loose-canon hardboiled types who make up for their lack of people skills with their ability to bring murderers to justice. There’s basically no truth to this. Private investigators are detectives who do not work for the police. This means that they have a lot more liberty in how they investigate a case, assuming they do it legally, and a wider array of cases. The downside, potentially, is that you’re not going to work a lot of high-profile cases. Serious criminal investigations will be handled by the police. Private investigators often run background checks, watch people to see if they’re defrauding a company or being unfaithful to a lover. The other big difference is that private investigators are sometimes self-employed, while police detectives are always on the clock. They sometimes work weekdays and get weekends off, but they’re occasionally on-call during nights or weekends. Regardless of what type of detective you choose to become, there are certain tasks you can expect to perform. Most of your time will be spent in interviews. Whether you’re talking to witnesses or a potential suspect, you will need to keep track of what they say. Regardless of what happens, it is always important to be polite and patient with the witness and show as much sympathy as you can. Also, try to let the witness lead the conversation. In a good exchange, the witness will be talking most of the time. This changes when interviewing a potential suspect but not that much. Despite what the TV shows will tell you, police usually don’t ‘get tough’ on suspects. It’s a balancing act between making the suspect feel uncomfortable and isolated and offering them sympathy. If you don’t let them deny their involvement, and instead encourage them to tell their own story, you should eventually get a confession. This is known as the Reid Technique. Keep in mind, there are upsides and downsides to this. The good news is that up to 80% of suspects waive the right to a lawyer and their right to remain silent, so getting a confession is a lot easier. The bad news is that getting a confession is so easy that you will sometimes get false confessions from innocent people who have convinced themselves they did something. Like any other cop, a detective can’t search for evidence without a search warrant. You will need to ask a judge to issue this. Once the warrant has been issued, there are certain rules you will need to follow. Crime scene investigation and evidence collection are all about avoiding contamination. To that end, it is not uncommon for law enforcement to dress in gloves, special shoes, and even masks so it doesn’t happen. Also, in a typical crime scene, there will usually be someone guarding the area and monitoring everyone who entered and exited and when. Any evidence you find is sent off to be analyzed. You can learn more about evidence and how to manage it here. 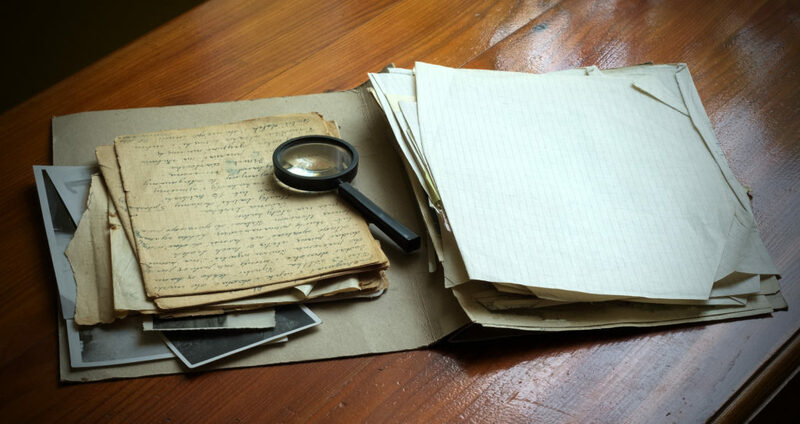 On the subject of evidence analysis and search warrants, and various related matters, it’s time to dispel some myths. The first thing to point out is that it takes a lot longer to get things done than Hollywood would have you believe. Getting a search warrant will take at least a day, and evidence analysis can take months. Also, even if you try your best, the evidence is likely to be contaminated anyways. This is largely owing to the nature of your work. 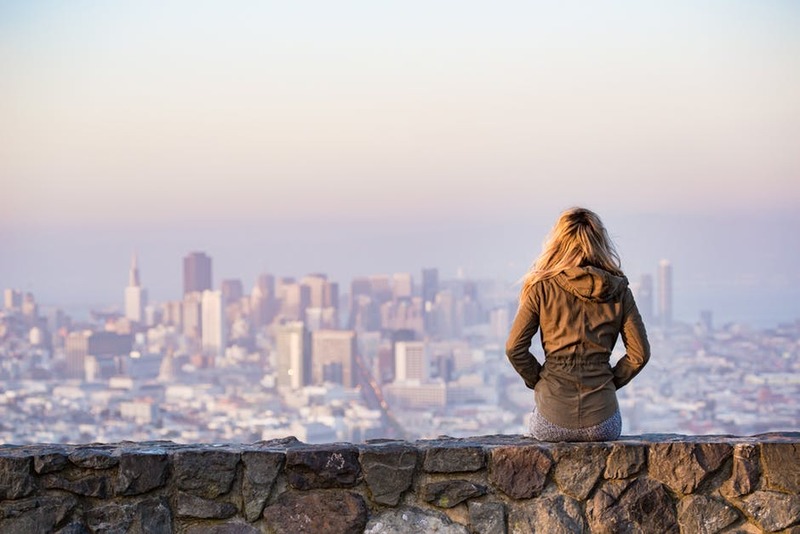 When somebody is a victim of a violent crime or even a suicide, it is not uncommon for them or their families to seek out respect and comfort. Families of a murder victim may have tried to clean away blood or other body fluids to make the body seem more peaceful. A victim found partially or fully naked may have been dressed to restore some dignity to the deceased. These are good-hearted and well-intentioned gestures, but some evidence is bound to be compromised. As the leading investigator on various crimes, you will often be called upon to testify in court. This may seem stressful, but the key to the whole thing is taking good notes. Basically, just be organized enough to confidently and accurately answer questions and you should be okay. The last few things to note are that detectives don’t have some of the same perks we see on TV. They do dress in plain clothes, but that doesn’t mean a three-piece suite. It’s more often just a shirt and tie. Also, detectives don’t drive shiny, fast cars. They will often drive used, somewhat older cars to look nondescript and avoid attracting attention. A detective career can offer a lot of interesting opportunities and experiences. It’s almost nothing like we see on television, but it’s still unique and challenging in a lot of ways. Your days will be spent investigating, questioning and testifying in court. If that’s the type of things that interest you, consider becoming a detective. 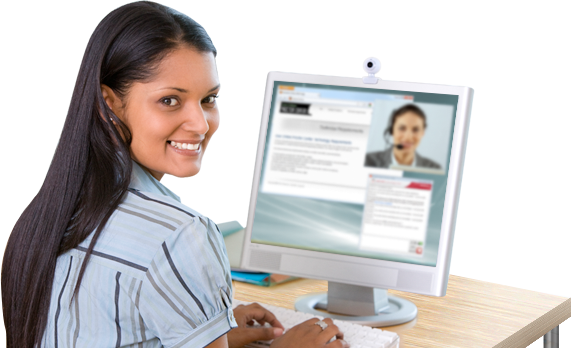 If you want to know more about various business and lifestyle subjects, please visit our site. We can help you manage stress in college. We can also give you some useful tips to help improve your sleep. Are you a senior citizen who’s looking to get back into the dating game? The dating world is tough for everybody, but it can be especially tough for those who are older. When you’re older, your social circle is a bit smaller, and you’re not going out and meeting people every Friday and Saturday night like you used to. But, that doesn’t mean dating as a senior citizen is impossible. In fact, there are a lot of pros that come with dating at an older age. For example, people are less concerned with looks and more concerned with making an actual connection. And, the mindset is a lot different- no one is trying to play games with each other. Instead, you’ll find that people are a lot more upfront about what they want. Nevertheless, you’re probably still a bit nervous about dating again. 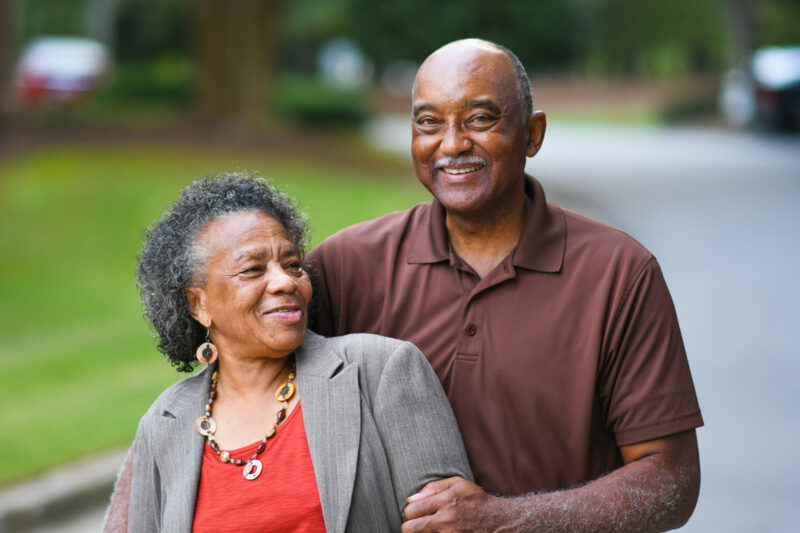 Read on to learn 8 pieces of senior citizen dating advice that can make the process easier. If you’re just getting back in the dating game, the first thing you’re probably wondering is where you should go to meet people. Friends and family are a great resource for meeting new people, as they know your personality, likes and dislikes. Don’t be shy about asking them if they know someone who would be a good match for you. And, be sure to attend as many weddings, graduations, sporting events, dance recitals, and other social gatherings as possible. This is a great way to get in contact with a wider number of people and possibly meet your soulmate. Practicing your favorite hobbies is another excellent way to meet somebody. Think about what you love to do, and then look for some clubs in your area to join. Whether you love golfing, swimming, playing cards, or attending political events, there are always other people out there who love to do the same thing and are also looking to meet other like-minded individuals. Plus, when you meet someone through a hobby, you already know you have something in common and something you can build off of. Did you know there are dating sites specifically geared towards senior citizens? With online dating for seniors, all you have to do is sign up, fill out your profile, and then you can begin looking for your soulmate. But, as with anything online, make sure you exercise caution about where you meet and what information you give out. If online dating doesn’t sound like your thing, you could also sign up for an offline dating service. With these, someone else acts as your matchmaker and sets you up on a date with someone similar to you. Sometimes, meeting someone you like is as easy as striking up a conversation in the coffee shop. It may sound silly, but sometimes even the simplest of questions turn into lifelong romances. So, you’ve met someone great and you’re going on a first date with them. Congratulations! Let’s talk about what to expect and what to do on a first date. If you know you share a hobby with the person, you can also suggest that as a first date. There are also a couple first date destinations you’ll want to avoid. While dinner is great, avoid taking them to a bar just to get drinks (you’re not 25 anymore!). And, don’t take the person to a family gathering, as this can send mixed signals and also put a lot of pressure on them. Remember when you’d go on a date as a teenager, and your stomach would be in knots the whole time? Well, expect to feel that way again when dating as a senior citizen. Even though your life has changed in many ways since you were a teenager, those old feelings are going to be the same. Your heart will be pounding, you may feel a bit dizzy, and your hands might shake a little. But guess what, that’s a good thing! That means you’re interested in the person and that you care about where things go. When people are young and naive, they tend to feel like they have all the time in the world and that they can dive head first into things and make all the mistakes they want. But, when people get older, that impulsivity tends to go away. By now, people have enough life experience to know better than to fall for someone the second they meet them. So, be patient with the process. And, if someone you like hasn’t expressed their feelings yet, give them time. Ideally, your family will be over the roof if you meet someone you love. But, this isn’t always the case. But, if you have grown children, this change can be tough. Some of them may not be as open about you bringing someone new into your life. To resolve this issue, the best thing to do is to introduce the new person in your life to your family as soon as you’re serious about them. Usually, once they get to know each other, those hesitations will go away. Senior Citizen Dating: Are You Ready to Get Back in the Game? Now that you have these pieces of advice in mind, it’s time to start your senior citizen dating journey. Remember just to have fun with it, and pretty soon, the right person will come along. As you’re getting older, finding a companion isn’t the only thing you have to worry about. You also need to think about arranging your estate for when you pass. 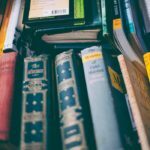 Check out this article for the top estate planning tips. You’ve found the love of your life after years of dating and disappointment, but now there’s another task at hand: the ring. Finding the perfect ring to propose with is a giant first step towards lifelong commitment, and it can make a statement about your chosen one and how you feel about them. Many people think that the more expensive the ring, the better, but that’s simply not true. If you’re wondering how much you should budget towards the perfect ring, read further to find useful information and tips on making your proposal extraordinary. The first place you should look before rushing to a jewelry store is your bank account. If you’ll have to save up for something, how much do you think you can save and how long will it take? When do you want to propose? Set a goal and deadline for yourself and look at rings in your price range. Don’t be afraid to do your homework, and don’t shy away from traditional styles – your partner may like them! It’s true that an engagement ring can make a lasting impression, so you should make the best impression possible on your future fiancé. Find out what type of jewelry they like, and what style rings they prefer to wear. Some styles may be too showy for your loved one, but others may be too simple. If you shop around for engagement rings London and other areas may have ones that better fit your loved one’s unique tastes. What Do I Want to Symbolize? Different cuts, colors, and gemstones have varying meanings and symbolism behind them. If your future spouse enjoys a certain color, it may have a meaning attached to it that you could use to find the perfect ring and make the perfect proposal speech. Rubies symbolize passion, heat, radiant energy, and intensity. If you’re leaning towards a certain gem, do some research and see if it means anything to you. How Much is the Average Ring? Forbes places the average cost in the United States at $5,000, or about £4,000. In the UK the average amount spent on rings has risen by 89% in the year 2018. However, you don’t need to fret about keeping up with the more luxurious spenders, as the ring itself and the meaning behind it is more important than the cost. To answer the question of how much you should be spending on an engagement ring for your sweetie, look at everything listed above. What is the pricing for the style that your loved one adores? How long will it take you to save that much? Don’t be afraid to explore, find options that you wouldn’t normally consider and see if they’re reasonable. 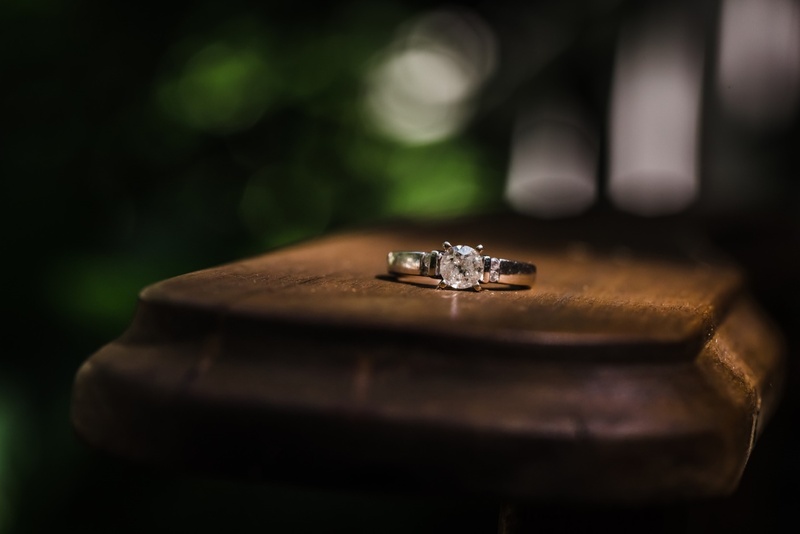 If you want to impress your loved one with a ring meant to last, find the perfect ring in your budget with a style that they will enjoy for a lifetime. Your engagement shouldn’t be pushed off schedule just because you couldn’t find the ring you wanted, start shopping around as soon as you’re ready to pop the question and experience wedded bliss. Graduation is an exciting time of accomplishment, transition and anticipation, so celebrating is a given of course! But a graduation party is more than just a moment of relief after the madness of school or even a celebration of success. A well-planned graduation party becomes a stepping stone for whatever new journey await. If that sounds intimidating, it doesn’t have to be! With just a few simple tips and a little party prep, you’ll be orchestrating an outstanding outing in no time. Before you start planning anything be sure to consult with your graduate. After all, it is his or her celebration! Talk to your grad about what kind of party he or she wants, how large it should be, who to invite, possible dates and themes, and any other important details. While you might not be able to accommodate everything your grad has in mind, the key to throwing a successful party for someone else is to make it about them! This is especially important if your graduate wants a smaller or more private celebration or has ideas different than your own. While it can be difficult to not get caught up in great ideas, make sure the party reflects what your graduate really wants. Once you have a clear idea about the size and style of party that you and your graduate have in mind, it’s important to set out a specific guest list and build a firm budget. Party expenses have a tendency to grow exponentially when your back is turned, so creating and keeping a budget for them is particularly important. Party planning also involves a large number of small expenses. These little purchases usually seem insignificant at the moment but are particularly deceptive and add up quickly over time. Following up regularly with your budget and committing to keeping it will make sure that things don’t get too off track. Graduation season is a busy time for everyone, especially recent grads and their friends. Because many of your graduate’s friends are likely graduating as well, it’s important to plan parties well in advance. Party planning should begin at least a month before the event, ensuring that venues, entertainment, and other important resources haven’t already been booked for the night. Graduation party invitations should also be sent at least three weeks in advance, giving guests plenty of notice before other plans interfere and allowing them time to send in RSVPs. Knowing how many guests to expect will also make the rest of your planning much easier! Nothing spells party disaster faster than just winging it. If your party is going to succeed, it has to have a plan in place. Even relatively relaxed parties need to have a plan for parking, food, and general organization. Hosts should also have a few party games or ideas prepared to pull out to help people get comfortable or if you start to sense a lull. Icebreakers and group activities are also a great way to get people socializing and make sure everyone is having fun. Games and activities can be orchestrated by the host and include large groups of people or can be stationed throughout the venue, letting people move around and entertain themselves. Graduation is a huge accomplishment for your student and a graduation party is something that that should be long remembered. Including a guest book in the celebration gives your grad a tangible memory of the event that can be looked back on for years to come. Guest books give family and friends a place to record advice and encouragement, and a location to store photos, cards and other important memorabilia from the evening. A guest book also makes it easier for your graduate to write thank you notes, particularly with the chaos of moving and adjustment that tends to follow the post-graduate transition. This isn’t just any old graduation party, this is for your graduate! Be sure to choose a theme that fits with his or her style and is something that you know he or she would enjoy. 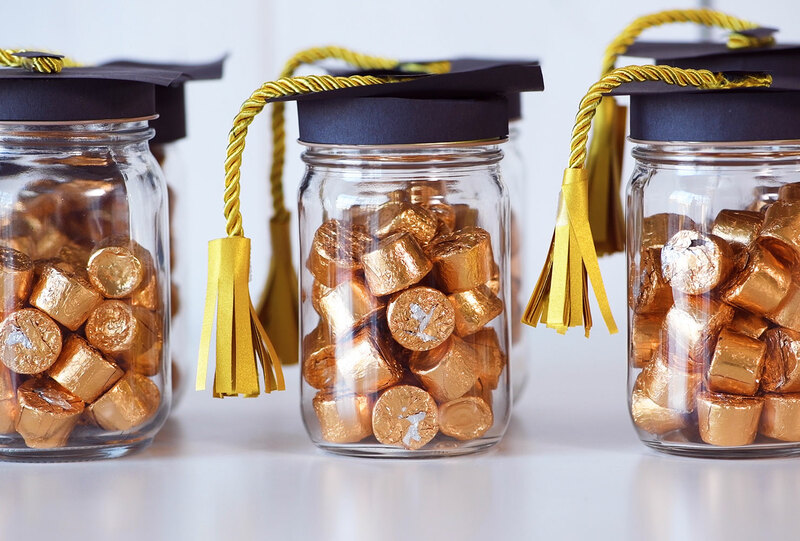 Take some time as well to personalize the party with specific memories about your graduate. Create a now and then section to celebrate past accomplishments, hang photos throughout the venue, incorporate your graduate’s future plans into the theme, or find some other way to personalize the party. Your party should be all about your grad and be a real celebration of their success. Graduation parties, when done well, celebrate your graduate’s accomplishments while simultaneously directing them toward an exciting future. Planning the perfect party for your grad doesn’t have to be difficult, stressful or expensive. With a little planning and a few helpful tips, you can host an outstanding grad party of any size.